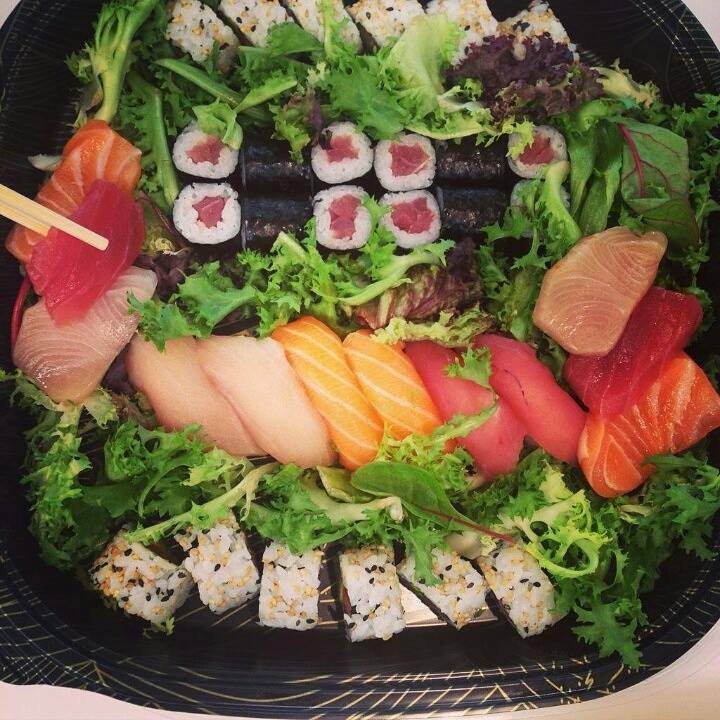 Our takeaway sushi is the freshest you'll taste! To look at sushi is to marvel upon a work of art that looks quite spectacularly complicated. And of course in some cases it is, as it seems a fair few of the world’s leading sushi authorities are somewhat hell-bent on outdoing each other with increasingly weird and wonderful takes on the classics. So yes, handmade sushi can look truly impressive, but when you break any sushi roll down to its basic ingredients, it’s really about as simple as it gets – rice, fish, vegetables and nori. So how exactly is it that so many sushi delivery places can get it so wrong? Or to put it another way, why doesn’t every sushi home delivery service in London produce the same quality sushi as we do? The answer in a single word – freshness! There are some foods and drinks that get better with age…sushi isn’t one of them. Likewise there are plenty of foods that are best made with slightly older ingredients or cheaper cuts of fish…sushi is pretty much the opposite of this. Sushi as we know it today is 100% dependent on not only the best ingredients, but the freshest ingredients. The reason being that with everything being served raw…at least as far as most fillings are concerned anyway…there’s absolutely no room at all for anything less than flawlessly fresh. Sushi-quality raw fish needs to be used as quickly as possible and cannot be allowed to hang around – just as is the case for deliciously fresh raw vegetables. The longer they’re left unused, the worse the quality of the sushi becomes and it shows in every last bite you take. So, if you find yourself faced with a tray of substandard sushi and can’t quite put your finger on why it just tastes a bit wrong, chances are you’ve ordered from a sushi delivery joint that doesn’t follow the freshness rules. You’ll find plenty of options on the cards when looking for a sushi delivery in London and chances are most will claim to use the highest quality ingredients. And they might well be telling the truth too as it’s uncommon for any decent sushi place to order anything but the best stuff on the market. But here’s the thing – what happens when they order a gigantic lump of the best sushi-grade tuna and have a slow week? Exactly – they use it day after day and the quality of the sushi they produce gets steadily worse. Which is precisely where our approach stands out. Not only do we use only the best quality ingredients on the market, but we also only ever use the ingredients that came to use fresh that very morning. We don’t keep anything overnight and nor do we stock up ahead of time – we use what’s fresh that day and whatever’s left over at the end of the night will never make it into tomorrow’s sushi. And there you have it – the secret to sushi with a level of freshness you can taste in every bite!